How much is Bill Neukom Worth? Bill Neukom net worth and salary: Bill Neukom is an American businessman and entrepreneur who has a net worth of $850 million dollars. Bill Neukom was born William Horlick Neukom in San Mateo, California in 1942. He is the former managing general partner of the Major League Baseball team San Francisco Giants' ownership group. Bill lived in the Bay Area when the Giants moved to San Francisco in 1958. He graduated from Dartmouth College in 1964 where he later served as a member of the Board of Trustees and was chair of the board from 2004 to 2007. 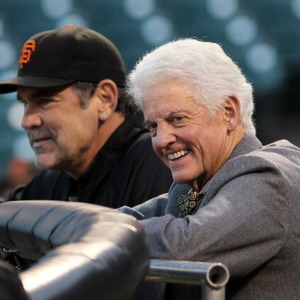 Bill went back to the Bay Area and got his law degree from Stanford Law School in 1967. He served as a clerk for the King County Superior Court in Seattle. He joined law firm Shilder, McBroom, Gates & Lucas. He started doing legal work in the early days of Microsoft and was the company's lead counsel for almost 25 years. He was an Executive Vice President at Microsoft and defended their legal property rights. He became chair of Preston Gates & Ellis in 2004. From 2007 to 2008 he was the president of the American Bar Association. He founded the World Justice Project in 2006. He became an investor in the San Francisco Giants in 1995 and was named the Managing General Partner for the Giants in 2008. He retired from the position in 2012. Under Neukom the Giants won the World Series in 2010 and 2012. Neukom serves as a member of the Board of Directors of the Pacific Council on International Policy. In 2011 the William H. Neukom Building opened at Stanford University's Law School as a result of his $20 million gift. He has also been generous to Dartmouth where three of his children attended.